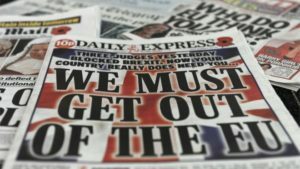 Frantic, febrile activity in Parliament, on the air waves and in print as the debate about the UK’s membership or exit from the EU reaches a climax. Individuals watching from afar might reasonably ask, shouldn’t there have been an open and rational debate before, based on facts and understanding? But there wasn’t, this requiring a level of consideration and responsibility entirely foreign to the Cameron administration. And we are here, four months away from exiting the EU and the levels of toxicity are rising once again. Let’s not forget that an MP was shot dead during the campaign. Killed by a man, linked to various far-right groups, but deemed to be mentally unbalanced, who shouted ‘Britain first’ as he shot and stabbed her. Now, as the ECJ’s Advocate General advises that Parliament can revoke Article 50, without first seeking approval from the other 27 EU members, thus making the Remain option so much simpler, similar toxicity surfaces. Jessica Simor, QC, of Matrix Chambers, is threatened on-line ‘lefty QCs will be the first to swing from lampposts’ by Pete North, editor, apparently, of something called Leave HQ or The Leave Alliance. Gina Miller got used to such threats and other female Remain-supporting MPs have received them too (as, to be fair, have some Remain supporting male MPs following the infamous Daily Mail headline and Dominic Grieve MP will probably receive more after yesterday’s amendment). It seems that, at any pinch point when true democrats look like gaining an advantage the populists and their supporters revert to type and threaten violence and death. Scandalously, Theresa May cited ‘civil unrest’ in the Commons yesterday. Nigel Farage epitomises this tendency, on one hand, though his remarks are usually couched in terms more respectable-sounding than North’s. On the other, he invites ridicule. It was his statement that thousands would take to the streets to protest outside the Supreme Court which resulted in one of the most ludicrous (and non-violent) demonstrations – just a handful of Brexiters and a man dressed as an elf. But Farage and Aaron Banks aside, where are they now, the fearless leaders of the campaign to take the UK out of Europe? They were given governmental responsibility for doing so and did…. nothing very much. Boris Johnson, former Foreign Secretary, attends the DUP conference in Belfast, which looks more like desperation than canny positioning. His place is on the far right now, hugging the people who seek to rule women’s bodies and ban homosexuality. 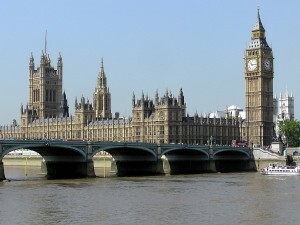 This is his constituency, where else has he to go? How he must be regretting his decision to support leave – remember the time when he could have gone either way ( principles never exactly being his strong point ). The only possible good outcome for him is that circumstances play into his hands and we exit the EU without a deal, Teresa May falls and the Tory party lets its increasingly old, right-wing and out of touch membership decide who becomes leader. 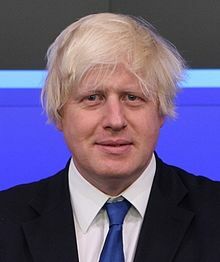 There is still, however, a significant element within the Tory party which will seek to ‘Stop Boris’ at any cost, the floor of the House has never been a place where Boris thrives, the members see through him and puncture his windy rhetoric (as yesterday). David Davies, former Minister responsible for exiting the EU, is still found on the air waves, but has found himself playing second, or even third fiddle to Jacob Rees Mogg. 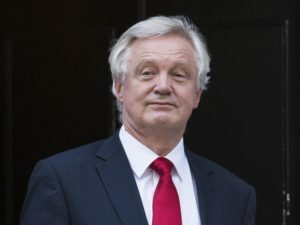 His credibility is somewhat shot, especially after it emerged that the EU negotiators were genuinely surprised when Davies’ successor Dominic Raab actually turned up to negotiate with a set of papers and an agenda, so used were they by then to Davies’ complete avoidance of doing anything meaningful, like negotiate. This was the man who said ‘The ideal outcome, (and in my view the most likely, after a lot of wrangling) is continued tariff-free access. Once the European nations realise that we are not going to budge on control of our borders, they will want to talk, in their own interest. There may be some complexities about rules of origin and narrowly based regulatory compliance for exports into the EU, but that is all manageable.’ He didn’t manage it and it was his job. ( For this and other idiocies see Let Me Be Clear ). Liam Fox? What exactly is the point? Number of foreign trips to talk about trade deals with tiny countries far away – lots. Number of trade deals done – nil (there were never going to be, we can’t sign new deals until we leave, but this didn’t seem to occur to Dr Fox before the vote ). Then there is Michael Gove, still in government but so besmirched with the taint of betrayal that he will bend over backwards and push his head between his knees and smile in order to appear loyal. Someone as determined as he to survive might just do that. What a diabolic mess !! !